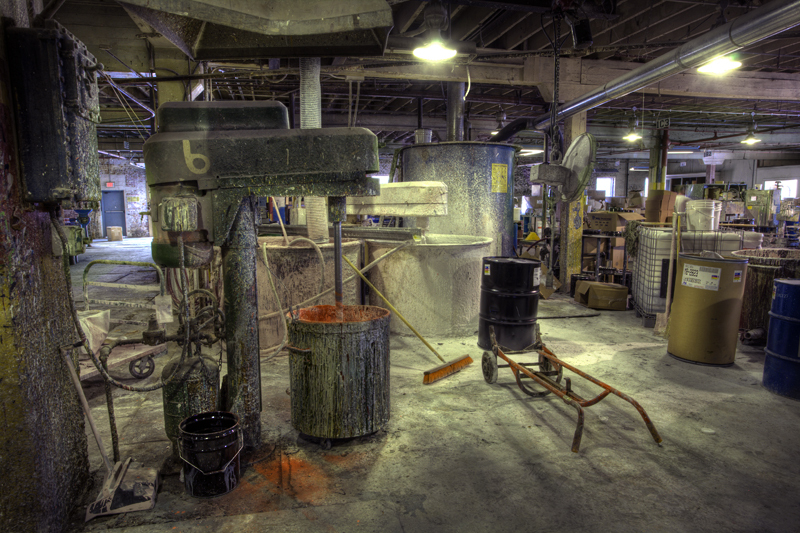 Where paint is now custom mixed, buggy whips were fashioned a century ago in the Warren Paint Company's warehouse. Cars put an end to that dream and a far more enduring enterprise took over. Now after decades of mixing, pouring, boxing up, and, yes, spilling, every color you can imagine intermingles on sides of vats, posts, floors, and walls. This is not your typical neutered, spit-shined, interchangeable industrial space. In here, you're in the middle of a living cartoon panel, being redrawn daily in vivid hues and shades.